Moscow City Court refuses to change Navalny’s suspended term to imprisonment | Russian Legal Information Agency (RAPSI). MOSCOW, September 1 (RAPSI, Lyudmila Klenko) – The Moscow City Court has upheld the ruling of a lower court, which refused to change a suspended sentence for opposition politician Alexei Navalny in the Yves Rocher embezzlement case to imprisonment, RAPSI learned in the courtroom on Thursday. Representative of the prosecution has supported a motion to change Navalny’s suspended term to an actual imprisonment because his violations are allegedly systematic in nature. According to the penitentiary agency, Navalny has regularly failed to register at a local penitentiary inspection office. Navalny himself did not come to the hearings. Earlier the Lyublinsky District Court of Moscow has refused to change a suspended term for Navalny. 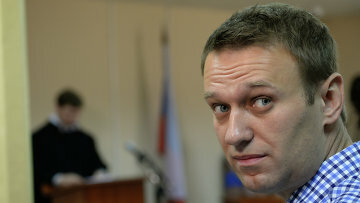 In December of 2014, Alexei Navalny received a suspended sentence of 3.5 years, while his brother Oleg was sentenced to 3.5 years in prison and is to be released on June 30, 2018. Navalny has also been involved in several other cases, including a case of embezzlement at the Kirovles timber company in which he was given a suspended sentence. He has denied all the charges brought against him. Alexei Navalny is a Russian political and public figure, leader of the Party of Progress. 10:32 01/09/2016 The Moscow City Court has upheld the ruling of a lower court, which refused to change a suspended sentence for opposition politician Alexei Navalny in the Yves Rocher embezzlement case to imprisonment.